We’re often accused of having, to put it bluntly, too much fun at Echo-Factory. Today, we’re here to put those fears to rest. In fact, just the other week our very own account manager, Alex Dunstan, took time out of his busy work schedule to perform a valuable public service. Namely: racing around the Chuckwalla Valley Raceway on several brand new motorcycles, and telling us which was his favorite. 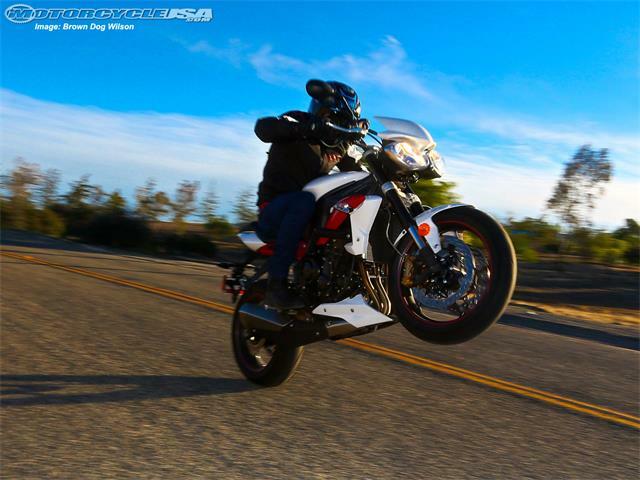 Alex performed this bit of selfless drudgery on behalf of Motorcycle USA, in the service of their “2014 Triple-Cylinder Street Bike Shootout.” He endured literally hours of testing the latest 3-cylinder sportbikes from Triumph, MV Agusta and Yamaha. After tireless testing and serious deliberation, Alex chose the Triumph Street Triple 675 as his top pick in the category. You’ll have to head over to Motorcycle USA and read the article to find out why.